This Sentry Safety Ultimate Style & Safety Upgraded Child Pool Fence Safety Gate pool fence accessory is both convenient and safe. Adults can access the pool area at any time, while kids need proper assistance for entry. The multi-step magna-latch entry, while easy for adults, requires a person of a certain height and coordination. The tru-close function enables the gate to close behind and latch. 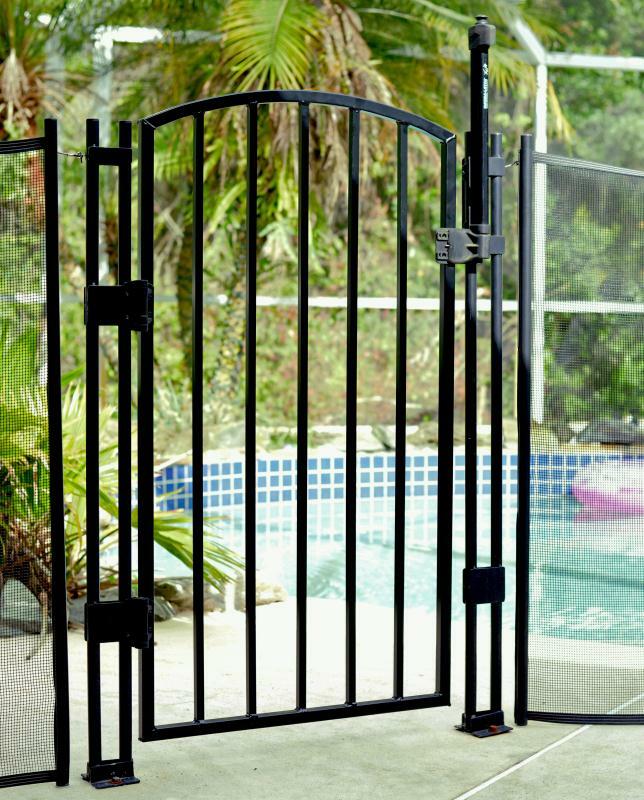 The 6061-T6 aluminum construction provides an extra level of security to the pool gate, as the gate is most likely to be pushed and pulled on. To order, select the color and size from the drop down menu above to match your EZ-Guard pool fence. The outside layer of the Ultimate Style & Safety Upgraded Child Pool Fence Safety Gate is durable baked-on TGIC powder coat finish aluminum, followed by a PVC insert spanning approximately halfway up the pole, and finished with a stainless steel rod that goes in the ground. EZ-Guard is the new standard in pool fence safety. The stainless steel rods contained inside each pole is what makes the Ultimate Style & Safety Upgraded Child Pool Fence Safety Gate stand out from competitors. Unlike traditional aluminum poles, which can break after time or constant usage, stainless steel can be bent and straightened hundreds of times without worry about breakage. Also because of the stainless steel rods, the resulting drilled holes are smaller. When the gate is up, the holes are not visible, giving a clean installed appearance. When the gate is down, the holes can be capped (caps are included with your purchase).